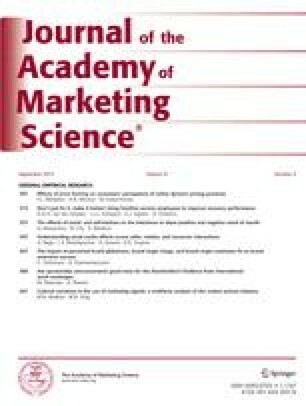 Woodruff’s detailed discussion of the meaning and measurement of customer value and how companies can use customer value information in designing their strategies makes a major contribution to marketing theory and practice. It provides an insightful synthesis of the literature on customer value and points out why and how current theory on the subject should be strengthened. It also offers suggestions for companies to foster customer value learning and incorporate it as a cornerstone of their competitive strategies. The primary objectives of my commentary have been (1) to critically examine Woodruff’s contributions and highlight unresolved issues requiring further investigation and (2) extend Woodruff’s contributions by proposing and discussing a detailed framework for monitoring and leveraging customer value. In addressing these objectives, I have attempted to raise questions and offer suggestions—some of which are necessarily tentative—in the hope that they will stimulate additional interest, debate, and research on the topic. He obtained his Ph.D. in business administration from Indiana University, Bloomington. His articles have appeared in such journals as theJournal of Marketing, Journal of Marketing Research, Journal of Retailing, andSloan Management Review. He serves on five editorial review boards of journals and has been named as editor of theJournal of the Academy of Marketing Science for a 3-year term beginning June 1, 1997. He is the author ofMarketing Research, a college textbook, and is a coauthor of two other books written for practitioners in a variety of sectors:Delivering Quality Service: Balancing Customer Perceptions and Expectations andMarketing Services: Competing Through Quality.